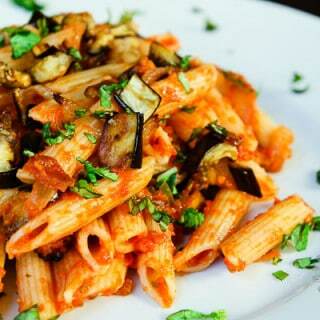 Wouldn’t it be awesome if we had all the time in the world to plan and prepare a meal for our family everyday? YES. Realistic? NO. 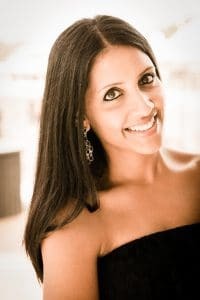 In reality, we are all busy people and our list of things to do keeps growing faster than we can find time for them. 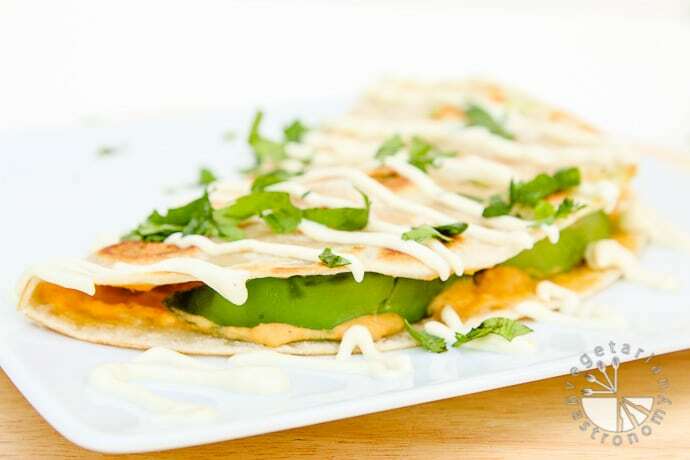 Whether you work full time, are a stay-at-home-mom, or simply just can’t get yourself to spend more than 10 minutes in the kitchen making a meal, this quick, satisfying, filling, and flavorful quesadilla is just the meal for you. Believe it or not, this was me the past week. I spent the entire previous week developing a bunch of delicious recipes for all of you, and I lost all motivation this week to cook anything that takes more than 15 minutes to prepare or requires a lot of cookware. Let’s just say it’s a good thing my loving husband is home for the summer and was willing to be my sous-chef and dish-washer for the week, especially since I’m not one to eat out much. 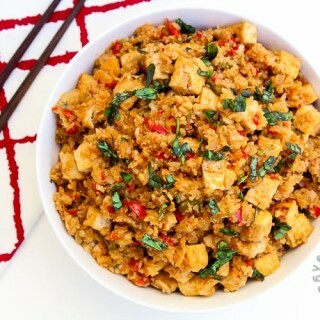 I created this a few weeks back when I was having one of those ‘I’m exhausted/my kids just went down for their naps/I’m starving/what can I quickly make and stuff in my mouth before the kids get up that’s remotely healthy, yet delicious and satisfying so I don’t go back 5 minutes later for something else to eat’ days. I’m sure many of you know exactly what I’m talking about. I typically go for some hummus and avocado, and I had a pack of my favorite uncooked flour tortillas, Canasta Brand Uncooked Flour Tortillas (although you can use any tortilla for this recipe). Luckily, I also had made some of my Sweet Jalapeno-Lemon Cream Sauce the day before. I felt like enjoying something hot, so instead of making one of my favorite go-to meals, a veggie wrap with avocado and hummus, I decided to turn it into a quesadilla. It was an explosion of bold flavors! 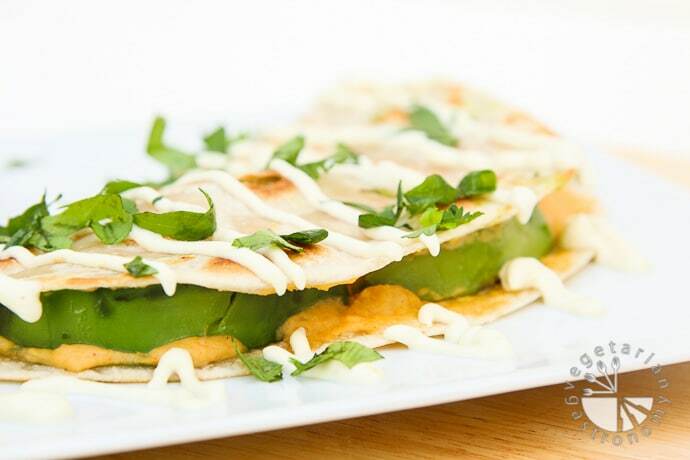 Tortilla, smothered with your favorite hummus and slices of avocado, sandwiched, and grilled. A drizzled of some of my Sweet Jalapeno-Lemon Cream Sauce, and served with my favorite hot sauce, Cholula. All of a sudden, my exhaustion turned into happiness as I sat on the couch and took my first bite. What can I say, food has that effect on me at times. 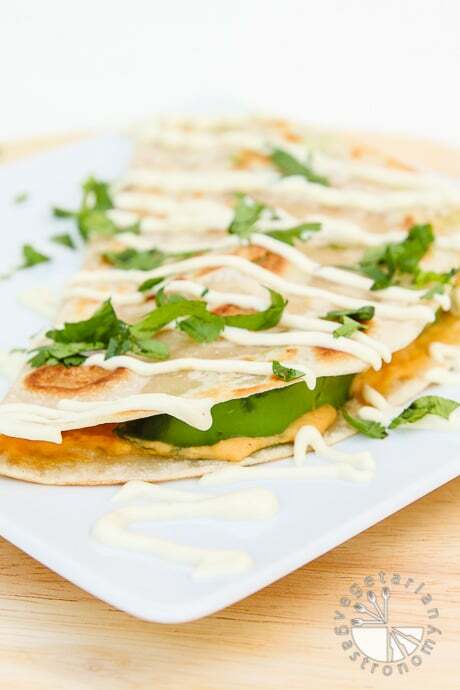 Whip up my Sweet Jalapeno-Lemon Cream Sauce ahead of time, make my Ultimate Mexican Pizza recipe, and try this creamy vegan Quesadilla recipe. You will love it! If you do, be sure to let me know in the comments below, and tag me on Facebook or Instagram @vegetariangastronomy , #vegetariangastronomy, so I don’t miss it! 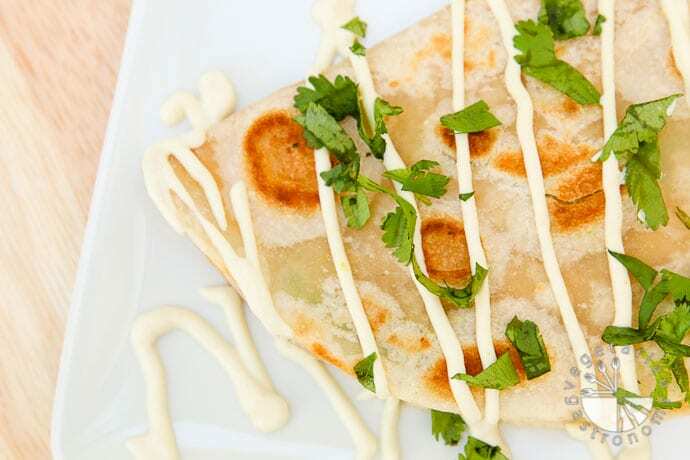 Change it up with this quick and easy vegan quesadilla! Avocado, hummus, and sweet spicy cream sauce! Spread a small amount of vegan butter on both sides of the tortilla. Place on the heated pan and grill on one side. Flip the tortilla over. Turn the heat to low. Spread a layer of hummus on the entire tortilla. Place the slices of avocado on half of the tortilla. Fold the tortilla in half, turn the heat back to medium heat, and grill the quesadilla on both sides until crispy on both sides and heated through. Remove from heat, drizzle on the Sweet Jalapeno Lemon Cream Sauce , and top with fresh cilantro. Cut into 3 pieces and serve with a side of your favorite hot sauce. 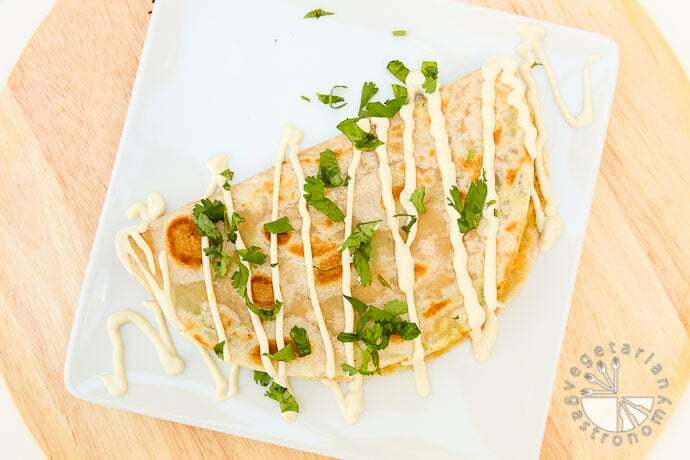 Tortilla - I prefer using flour tortilla, but use corn tortilla for a gluten-free option. It'll still taste great! Make-Ahead Tip: Prepare the Sweet-Jalapeno Lemon Cream Sauce ahead of time. 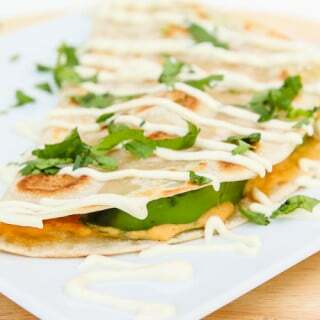 Never thought of using Hummus in Quesadilla with Avocado.and sauce. Test very good .